On the 23rd of September the city of Ovruch of Zhytomyr region celebrated 1071 anniversary from the day its foundation. 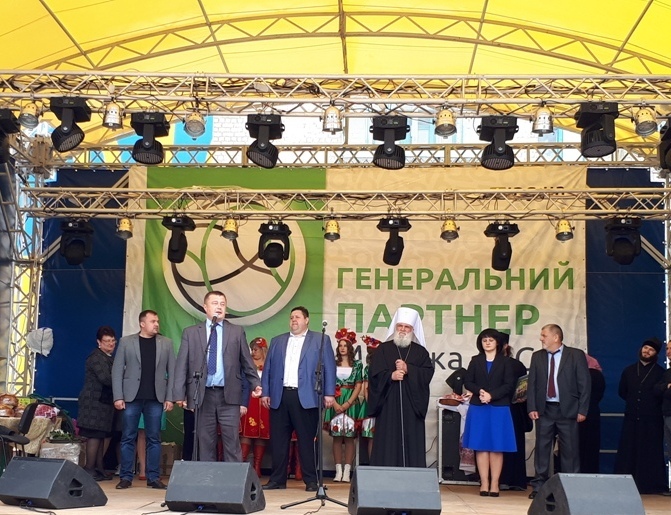 Ovruchan was congratulated by Mayor Ivan Korud, head of the Zhytomyr Regional State Administration Igor Gundich, head of the Regional Department of the Ministry of Internal Affairs Oleksandr Radko, heads of cities and communities of the region. It is pleasant to note that since October, 2015 the Ovruchsky mayor is Ivan Korud, a former deputy head of the Office of the State Migration Service of Ukraine in Zhytomyr region. The holiday began with a festive parade, a Cossack procession, a fashions embroidery, a bike parade, a parade of young mothers, a festive procession of collective organizations, enterprises of the city, a massive flash mob. At the dinner there was a solemn opening of the 2nd festival "Polissya Mrs. Kartopelka", performances of amateur collectives of the city and district, as well as Song and Dance Ensemble "Lyonok", "Lisatektny battalion" group and others. At the festival, for the first time, they showed the old clothes of the Ovruch district. To show women's dress, they laid a self-tangled track. Coupled couples and whole families joined the fashion show.